How to survive a power outage during the winter! 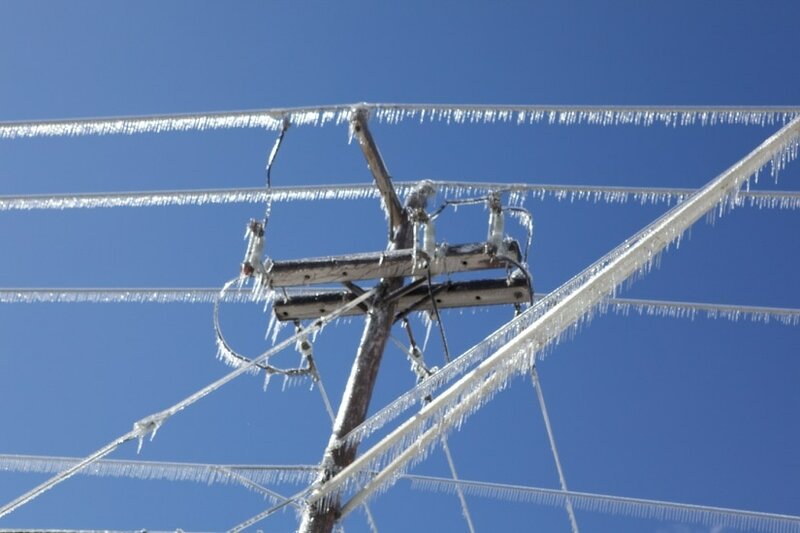 Power outages during frigid winter months can endanger lives. Being prepared can help you and your family stay safe and comfortable. If the power goes out, make sure you have not blown a circuit by checking the breakers in your home's electrical panel. Thinking ahead by unplugging electronics and appliances that use electric motors. Turn on an incandescent light to signal when power is restored. It's also possible to insulate windows with black blankets. The black draws heat from the sun. If the sun's beams are coming through the window, put the blankets on the floor where the sun is directly shining instead. Running a bathtub of hot water also draws in heat to the house. Turning faucets to a trickle helps prevent pipes from freezing. If needed, wrap pipes in insulation or newspaper. Open kitchen and bathroom cabinet doors to allow warmer air to circulate around the plumbing. Carbon monoxide poisoning, fire and electric shock are hazards during an outage. Place generators away from doors, windows and vents that could allow carbon monoxide to come indoors. Communication could mean life or death in these situations. Limit non-emergency phone calls during serious situation. This will also minimize network congestion. Texting is better for keeping phone lines open. It is a good idea to keep a portable charger ready for use in case. If you don't have a portable charger, reduce the screen brightness and close apps not in use to conserve battery. It can be stressful to keep track of extreme weather events and children or pets. Staying calm in this situation will help keep children at ease. Keep emergency phone numbers posted beside the phone, and keep children's emergency medication organized and accessible. Put extra clothes on your children and animals or wrap up in blankets. Distraction is a big advantage when young children are involved. My Dog Ate My Apartment! Understanding Pet Fees! As much as many of us would like to extend summer (or fall) for another couple of months, winter is well on its way and the cold weather that comes with it soon will be too. Before the first winter storms hit, make sure your place is ready to handle all the wind, snow, and sleet they have to throw at it by following these basic apartment winterization tips. Inspect windows. Look over your windows and determine if they have leaks or are drafty. You can ask you landlord to repair or replace them, but if that’s not an option you’re not doomed to a chilly winter. You can shrink wrap your windows, block off drafty portions, or invest in heavy draperies that will stop the bulk of the drafts. ​Test your heating system. Before cold weather hits, make sure your heating system is working like it should. If not, talk to your landlord and get things fixed before you actually need the heat. Make or buy draft dodgers. You can limit the impact a cold breeze has on your space by blocking it with a simple draft dodger. They’re easy to make but if you don’t have the time or the inclination, they’re not expensive to buy either. Use them to stop cold air flows around windows and doors. Consider smaller heaters. Space heaters and electric blankets are just two ways that you can add extra warmth to parts of your apartment that you use the most. Focus on these and you could save big on heating costs. Learn to use your thermostat. If you have a programmable thermostat, you can save big by programming it to warm the house when you’re there and cool it when you’re not. If you don’t have one, consider adding one to you place or simply putting the heat up or down when you leave and come home. Check your smoke detectors. Between holiday lights, candles, space heaters, and other devices, there are plenty of fire hazards in the winter. Make sure your smoke alarms are in good working order so you’ll be alerted of any hazards with enough time to get out of the house. Stock up on essentials. A crazy snowstorm could make it hard to get out of your place to get food or other essentials. Keep water, pet food, and canned items on hand to carry you through times when you can’t get out. Warm sustenance. Avid Starbucks-goers can tell the seasons are changing by the appearance of pumpkin spice lattes, followed by peppermint mochas. Warm beverages have come to be prominent characteristics of the holiday season. And rightly so. Sipping a hot drink while the cold bites at your skin makes you infinitely warmer– and usually happier. Getting ready for the cold weather season, have these hot drinks on hand in your home. Teas, cocoas, and coffees are great to fill your cupboards with. That way, when you wake up in the morning with the chill threatening to enter your cocoon of blankets, you might have an incentive to get out of bed: a nice hot chocolate (or whatever your morning drink of choice may be). It doesn’t stop there. Soups and stews can make great meals during this time of year. Stock up early on your favorite ingredients. ​Using the oven. While we are on that note of cooking, the winter is a great time to begin baking. Have you ever restrained yourself from using the oven in the summer, when you don’t want the appliance to heat up the rest of your kitchen? Well during the winter that is one of the benefits of using an oven! It is time to bring out all of your old recipes for baked goods– brownies, banana bread, lasagne, meatloaf– and turn that oven on! By the time you are done cooking you will have delicious treats, plus a nice toasty kitchen to enjoy them in. ﻿Can You Afford To Skip Renters Insurance? Whether they’re in Baltimore, MD or Houston, TX, the first thing people think about when they rent a new place is getting renters insurance to protect their belongings, right? No, not really. Almost all homeowners have homeowners insurance — 95% of them, according to the Insurance Information Institute. Mortgage lenders require it, after all. But only about 40% of renters buy renters insurance. If you’re a renter, you may be wondering how much is renters insurance — most policies will cost you about $15 a month. But if your laptop is stolen, for example, it’ll cost you much more than $15 to replace it. And there are other considerations that should help you rethink your decision to skip renters insurance. Here are a few. This one might seem somewhat obvious: If someone breaks into your rental unit and steals your personal property (computer, electronics, jewelry, clothing, bicycle, etc. ), you can’t expect your landlord to help you replace those items … unless you can prove the landlord was negligent by not providing a lock for your doors or windows, perhaps. Otherwise, you’ll have to pay to replace your belongings. If you’re living paycheck to paycheck as it is, you may have trouble replacing those belongings without going into debt. Having a renters insurance policy in place could save your wallet, however — and in most cases, your personal property would also be covered if it were damaged by lightning, fire, vandalism, volcanic eruption, and other natural disasters. Of course, there are state-by-state exceptions: California renters, for instance, are not covered for damages from an earthquake, and Florida tenants are not covered for damages from a natural flood. Earthquake and flood coverage both usually require a separate policy. Your policy will spell out in detail which disasters are covered. Moral of the story: If you don’t want to replace everything that could be stolen or be ruined by Mother Nature at retail price, you should get renters insurance. If your rental unit is rendered unlivable for a time because of damages from a disaster, such as a fire or a storm, the cost of a temporary hotel stay would likely be covered by your renters insurance. Your policy should kick in even if your neighbor has a fire and management must turn off utilities to your building for a few days to make repairs. “Loss-of-use coverage on your renters insurance could take care of that for you,” says Narcisco. What if one of your friends is injured in your apartment because of clutter left on the floor? If the friend rolls an ankle because they stepped on your dog’s chew toy, you’re technically liable for the medical costs. You’re also accountable for legal costs if your guest files a lawsuit. The liability part of renters insurance will cover that for you. It also covers damages to the apartment that you caused, such as water damage from letting a bathtub overflow. The landlord will probably sue you to pay for damages not covered by your security deposit, and that’s when your renters insurance would kick in. Let’s look further into that overflowing-bathtub scenario. What if, in addition to damaging your apartment, the overflowing tub also caused damage to your neighbor’s unit below? Or what if you drove your car into your neighbor’s fence? The cost of repairs in both instances will often be covered by your renters insurance. Note that renters insurance comes with coverage limits, so know what is and isn’t covered in the policy you select. You also decide how much liability and personal property coverage to buy. For example, you might decide to get $300,000 in liability coverage and $50,000 in personal property coverage. “If you can’t afford renters insurance, you can’t afford to be without renters insurance, because a loss would be devastating to your family,” says Narcisco. Before you decide renters insurance is one more expense than you need, think hard about what it’ll cost to replace your belongings — or pay damages — out of pocket. Living the rental life has its benefits: the flexibility to move whenever your lease is up, access to neighborhoods you might not be able to afford to buy into (yet), and someone to fix anything that breaks. However, unless you’re living in a superluxury building, chances are good that at least one room in your place lacks that gorgeous natural sunlight that’s the difference between a “charmingly cozy apartment” and a cave. But whether you’re moving into a new apartment for rent in Baltimore, MD, or a bungalow in Atlanta, GA, an odd layout, a less-than-ideal wall color, a brick wall view, or even a lack of windows can make your new home feel dark and dreary. If your abode suffers from lack of natural light, there are a few solutions that can make it feel bright and welcoming. Here are some tips to help you lighten up. ​“Having good storage that keeps clutter at bay can help a space feel bigger — less is more!” says Robberts. Sure, you can’t turn a studio into a penthouse, but limiting clutter reduces visual chaos. Just think twice about investing in clunky storage furniture, like big armoires and shelving units, and choose scale-appropriate furnishings. Ottomans and benches with hidden compartments, along with under-the-bed and under-sofa bins, keep everything out of sight without wasting a square inch. How to Find a Roommate in Baltimore! Early riser or night owl? Friends over often? Parties soft, hard or not at all? Finding out about a potential roommate’s lifestyle and daily habits can help you figure out what you don’t mind living with, what you can compromise on and what are deal breakers for you beforehand. Meet over coffee or drinks to break the ice — especially if it’s a multi-roommate situation. Don’t forget to ask about the little things, too — like housekeeping styles and how they manage the thermostat. Are you looking for a non-smoker? Someone who loves pets? Be upfront about what you’re seeking in a roommate — including sharing household chores and sharing toiletries or food. More importantly, let a potential roommate know when rent is due so there are no misunderstandings. Knowing what expectations are from the beginning will help you avoid any conflicts during your time together. Make sure he or she has a history of paying rent on time, with a steady job or another source of income. College students may have parents or a stipend that can help cover costs, but beware of a non-college student who jumps jobs often — it could mean trouble for you down the road. If you are deciding whether to live with a stranger, ask for references from past roommates to vouch for someone’s character, reliability and livability. If you don’t have another roommate that can weigh in, ask a friend who is a good judge of character to help you vet him or her. A trusted friend may be able to spot any red flags that you may have missed. If possible, give yourself at least one to two months in advance to find a roommate. Otherwise you could rush right into sharing a space with someone who pushes your buttons — and your sanity. Above all, make sure a roommate is someone you can trust — who can respect your space, personal items, food and — if you have any — your pets. Remember that most typical leases are for a year, so once you sign with this roommate, it’s usually a done deal. Lastly, be the kind of roommate that you’re searching for. Follow all of the tips above! Do you have any additional tips on finding someone to live with? Share yours in the comments below! 12 Brilliant Ways To Keep Your Baltimore Apartment (or Home) Cool Without Air Conditioning! Let’s face it: It’s hot out, and it’s only going to get warmer as summer goes on. While it’s tempting to crank the AC or plant yourself in front of the nearest fan, these aren’t the only tricks to keeping cool. It turns out there are plenty of ways to buffer your home from the heat without racking up your electric bill. And they’ll make you feel like a DIY champ, too. ​6. Focus on the temperature in your body, not the house. If you've ever had to look for an apartment, you know the process can be time consuming and stressful; even more so if you are new to a city or are looking in a competitive market where hoards of people show up to see every unit. There may not be a way out of doing the legwork, but these 11 tips can help you get organized, set your priorities, search smart, save time, and stay focused every step of the way. 1. Narrow your search. Focus on a favorite neighborhood or two, but be smart about it. Balance things like charming shops and a vibrant community with factors like price and access to transportation. Narrowing your search to a specific area will help streamline the process, since you can schedule multiple showings in a single morning. At VacancyFillers.com, you can easily schedule your showing appointments online! If you are just moving to a new city, there is no better way to learn about the neighborhoods than to spend some time walking around — so get out there and explore. You can also visit Walkscore.com to learn more about the neighborhood. 2. Identify your top three priorities. Make the budget one of your top three priorities; the other two could be anything important to you: great natural light, proximity to work or school, or a washer-dryer in the unit, for instance. If you are having trouble coming up with your top three, try listing everything you want and cross things off one by one until you are left with your most important priorities. Try to only schedule showings at the units that meet most of your priorities. Ideally, you don't want to be wasting time running around town seeing units that are not a fit. 3. Keep track of multiple listings with a comparison checklist. When you are hitting half a dozen showings in a single morning, they begin to run together. Keep pertinent info neatly sorted on a single checklist and snap a picture of each place to accompany it, if possible. 4. Have your ducks in a row. Its a competitive market out there! Be prepared to fill out a paper or online application , plunk down a deposit or sign a lease before attending that first showing. Bring the information you need to fill out a standard rental application (contact info for employer, present and past landlords etc. ), plus your checkbook. Also consider printing out a copy of your credit report — some landlords will insist on running their own check, but simply having it to show can be reassuring and put your application ahead of others in a competitive market. Which (if any) utilities are included? Is there a fee to use building amenities or for parking? Are there cable hook-ups where you want them, or will you need to have a new line put in? At VacancyFillers.com, many of these questions can be answered by checking out the Details section of our listings! 6. Rely on your senses. Odd smells and noises you notice during a showing could end up being a major problem when you move in. 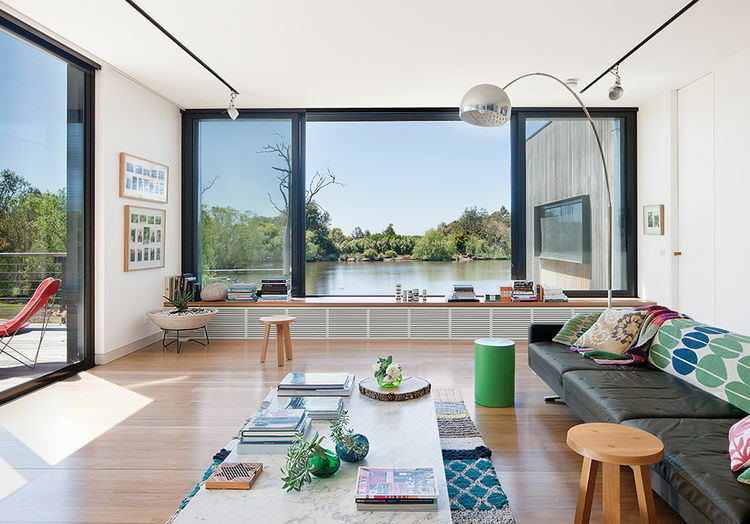 Natural light, or a lack thereof, can make all the difference in the world, so try to attend a daytime open house rather than looking at the apartment after work. 7. Don't be afraid to be a little nosy. Open the closets to get a realistic picture of the available storage space. Turn on the shower, run the water in the kitchen and bathroom sinks, and flush the toilet. Check under the sinks for signs of mold and critters — it's a lot better to know now if there is a problem. 8. Combine methods for the most effective search. Search online via Craigslist and similar sites, or contact a local rental agency like VacancyFillers.com — but don't forget to hit the pavement, too. Even today there are plenty of landlords who rely on a simple sign posted in the window, a scrap of paper tacked up in the local café or word of mouth to rent their units. So keep your eyes and ears open wherever you go. 9. Planning to stay a while? Negotiate! If you have excellent credit and a solid rental and work history, and you want a place to call home for many years to come, you may be in a position to negotiate a better deal. Finding excellent long-term tenants is the hardest part of being a landlord, so remember, you are a catch! While it's not likely any landlord would lower the rent, you could try negotiating for a longer lease to lock in your current rent, ask for improvements to be made (and paid for) before moving in or get permission to paint and make improvements on your own. The worst they can say is no, but it can't hurt to ask! 10. Measure key pieces of furniture ... and check if they fit through the door. If you have not accumulated much furniture yet, or you don't mind swapping a few things out, this may not be an issue. But if you do have a special piece, like a canopy bed, large sofa or piano, it would be heartbreaking to find out it won't make it through the door after you've signed the lease. Bring a tape measure with you to each showing, and check doorway and stairwell measurements to be sure your beloved pieces will make it in. 11. Get everything in writing. So your landlord promised that the leaky sink would be fixed, you can paint the walls any color you want and your cat is allowed without a deposit? Get it in writing. Should you and your landlord ever get into a disagreement down the road, having documentation will be a lifesaver. Did you know that there are grants that can help real estate investors with the acquisition of investment property? Did you know there are programs that will pay above market rent for your investment property? Sure you do… but there are so many misconception about using government funds, they may be deterring you from maximizing your investments. There are numerous government sources to assist you in your real estate endeavors: to name a few, there’s the HOME Investment Partnership Program, local and federal block grants, and the Housing and Urban Development. The governmental assistance program that is most well known is Section 8. Immediately when you think of Section 8 housing what comes to mind might be slums, ghettos, unemployment, substance abuse, and dysfunctional families. This may not be the perception of some, but many do believe this. The association between the above descriptions and Section 8 is so strong that these images immediately come to mind when thinking of government assistance. I would like to inform you that the majority of the time, it is not the individuals on government assistance that diminish a community, but the investor, the property managers, and the slumlord. This article is to inform investors about some of the commonly believed misconceptions about Section 8 housing that are causing you to lose thousands of dollars and diminish your returns. According to Section 8 rules and regulations, if a tenant is not adhering to the lease, you can contact the tenant’s Section 8 social worker. The worker will inform the tenant that if they do not abide by the lease, they can lose the section 8 voucher. Normally in this case, the tenant immediately complies with the lease. The loss of the voucher will result in them paying 100% of the rent versus the difference between the voucher amount and the rent. So this is a big plus because it minimizes the likelihood of evictions. This is not the case; actually, there is another layer of protection similar to lease compliance. The tenants are heavily screened by the Section 8 workers prior to them being awarded the voucher; they cannot have an extensive criminal background or issues of substance abuse, and only the voucher recipient and those named on the voucher can have tenancy in the property. Once the recipient is awarded the voucher, they still can be screened by the landlord. If the individual does not meet your requirements, you do not have to rent the property to them. I have found this perception to be incorrect as well; there are only a few reasons tenants move — they purchase a home, they find something better or more affordable, a family member moves from the neighborhood, they need to downsize, or they have problems with the landlord. The majority of the time, these are the five reasons a tenant voluntarily moves. In most cases those awarded section 8 have kids, and kids have to go to school, and the kids make friends at school, so they become attached to the neighborhood. This limits the family’s ability to continuously move. Investors love to talk money, and with Section 8 tenants, you can get a premium for your property. The biggest complaint everyone states about the government is the fiscal policies and how out of touch the bureaucrats are. You are exactly right; the government pays a premium for everything. So why not have them pay the premium for your rental? In most cases Section 8 is willing to pay above the market rent depending on the area. For example I have a small 3-bed, 1-bath SFR, and the market rent is $850. Section 8 is willing to pay a minimum of $1150, and that increases my cap rate on my investment. Again, not only will there be a increase in rental payment, but there will be extra layers of protection per Section 8 policies. This may not be so in every city, but the process to get a property Section 8 approved is simple — the property must not have evidence of mold, heat or running water, and it must be in livable condition. Sounds simple enough, right? There is a check done on the landlord to ensure that there is not a criminal history of theft, drugs, or abuse of any kind. This process is easy, and as long as your property meets county/city code, your home will qualify. There was an article in Crain’s Chicago Business by Alby Gallun called “Poor Families Use ‘Supervouchers’ to Rent in City’s Priciest Buildings.” This article disproves that notion that Section 8 is only for blighted areas of your city. One individual in the article was paying $3,000 a month for a one-bedroom apartment at 500 N. Lake Shore Drive (yes, if you know Chicago, that’s not too far from the Gold Coast & Mag Mile). I’m pointing this out to say: not all families or rental units that are Section 8 approved have to be in the worst neighborhoods in America. ​Again, with the extra layer of protection, it helps if your tenant does damage to the property. In the event the tenant does damage to the property, you can notify the tenant’s worker, and Section 8 will pay for the damages, and the tenant has to reimburse the worker. The tenant can lose the voucher if they destroy the property and do not pay. So this is a benefit to the landlord to ensure the property is maintained. This extra layer of protection limits the possibility of litigation and losses due to damages. As with any rental, you should conduct a walk through with the tenant and document any defects. This happens to be one of the best benefits: not only do you receive higher than market rent, but your payment will come directly from those that administer the program. The rental payment will come on time and without fail. These are the 8 misconceptions about dealing with Section 8 Tenants and the program. Although I have outlined the benefits, there are always downsides when dealing with people. I have been fortunate to have a wonderful experience with Section 8, but I have heard some of the horror stories as well. Remember, you are the landlord, and your tenants can only do what you allow. But some tenants, perhaps due to past experiences, prepare for the worst and thus approach the relationship ready for a fight. Maybe they have never had a decent landlord. Maybe some just do not know how to act. Whatever the reason, here are 14 tips to tenants everywhere for a decent landlord/tenant relationship! VacancyFillers.com is a Baltimore based tenant placement company that helps landlords who are losing money from their vacancies, and being distracted from their families/careers while trying to find tenants. Here is some advice from experts to keep your rental money flowing in the right direction!!! 1,Keep your goals in mind. Investors need to know why they are in the rental market and what they want to accomplish financially, says Wendell De Guzman, chief executive of the real estate investment firm, PCI in Chicago. 2. Put your financial house in order. Knowing your income and expenses will help you get loans and, subsequently, buy more property, De Guzman says. Don't forget to include taxes, insurance, maintenance, management, utilities and the reserves for major repairs, like a new roof. 3. Learn your market's vacancy rates and property ratings. There are areas rated A through F, and they all sell and rent for different rates. Keep your vacancy rate to 5 percent or less, De Guzman says, so you won't be stuck with an unrented property for months at a time. 4. Look for real estate with great potential. Properties that tend to do well are near schools, expanding retail or trendy points of interest, local transportation, or surrounding malls, says Daniel Sanchez, commercial associate partner of Partners Trust Commercial in Beverly Hills, California. 5. Keep your options open. Consider smaller markets within secondary markets, how well the house was built and how much people are paying rent in the neighborhood. "I want to be in the $800-to-$900 range in the secondary market," says Yariv Bensira, owner of Hyde Capital in Memphis, Tennessee, who came to the country to attend college and now who owns and handles 4,000 units with a private investment fund in Israel. 6. Don't be lured by low interest rates. If a property is already 30 years old and would cost the same to build it, then don't buy it, Bensira says. Make sure your home has enough value to get the returns you want when you eventually sell the property. 7. Renovate the kitchen and bathrooms to get higher rent. Quality granite in the kitchen could save you resurfacing costs, and bring in an extra $50 to $90 per month, Bensira says. Be sure to know how much renovations cost so that you know if you're getting a fair bid. 8. Screen the tenants. Have an application process and use a service such as National Tenant Network to look for civil and criminal lawsuits, recent collection activity and credit scores above 600, says De Guzman. "Look for people who were down financially, but now are on their way up with a good job and some savings, who have been paying their bills for the past four years," he says. 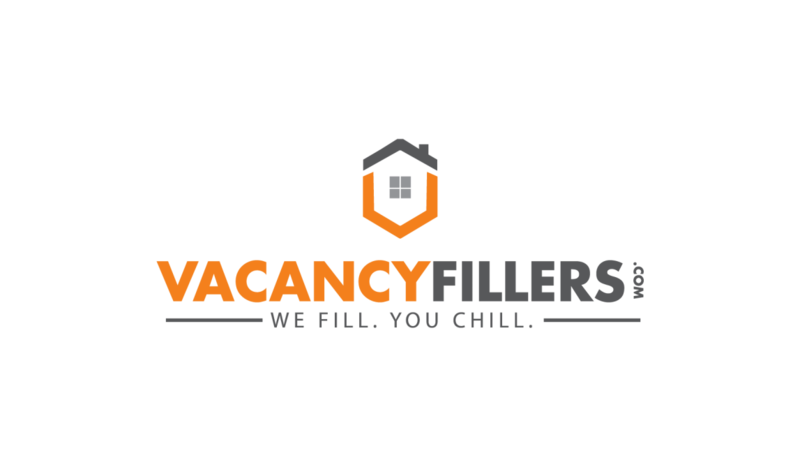 VacancyFillers.com is a Baltimore based tenant placement company that helps landlords find quality tenants fast so they can focus on their families and careers, and start making income from their property! 8 Things You Can Stop Buying Today!!! As you run a household for a decent length of time, there are certain things that become automatic. Like the shopping list—stuff runs out, you buy it again. But what if you didn't? Could life go on just fine without a few of those things you're always buying at the store? And could you save a little money in the meantime? 1. Dryer sheets? Of course we can all agree we love the way our towels smell after they come out of the dryer. But when something's gotta budge in the budget, surely the scent of dryer sheets can be the first to go. 2. Trash bags? You get so many from the supermarket—enough to last you through the week—why buy more? If your trash can requires a larger liner, here's an idea: convert that can to a liner-less one for recycling and buy a smaller, store bag-sized can for regular household waste. 3. Ziploc bags? Large Ziploc bags can be handy for freezing, but if you are buying them to take to work every day, consider using a lunchbox or other reusable container. 4. Paper towels? Making the switch to washable rags and sponges will both save you money and be better for the natural world in which you live. 5. Coffee pods? With the amount you get per pod, coffee pods end up costing about $50 per pound of coffee. That's madness when you consider how much better French press coffee tastes. Not sure if you could make the switch? Read suggestions offered by The Kitchn readers here. 6. Soda? Yes, soda is delicious. Yes, it is bad for you—even diet soda. Your body and your bank balance will thank you if you take a break from it for a little while. 7. Air-fresheners? Did you know lighting a match will do the job just as well? Or opening the window? And if you want something to smell pretty, bring in some flowers from outside, or buy a candle from a local all-natural candle supplier. 8. Pads and tampons? This one requires some investment, but could save you big bucks in the long run. Are you aware there are alternatives out there now, like this and these? It might seem a bit much, but, it's 2016! Do we really need to keep doing things just because that's the way we've always done them? How to Make an Apartment Smell Good, Cheaply! .When your apartment has a bad smell, it can permeate every room quickly and can give guests the wrong impression of you. Don't make the mistake of simply covering up a bad smell with a heavy scent. To get your apartment smelling really good, first deodorize it. Then introduce a pleasing scent to make your living space appealing to every nose. 1. Sprinkle baking soda onto the surface of your fabric furniture, carpets and rugs. Leave the baking soda overnight, then vacuum thoroughly. The baking soda absorbs odors trapped within the fibers, so when you vacuum it up, the smells disappear, as well. Then, open all the windows and let your apartment air out for at least an hour. 2. Make a 1 to 10 mixture of bleach and water, then use it to clean all the hard surfaces in your apartment. Use a cleaning rag to apply the bleach mixture to counters, cabinet fronts, walls, baseboards and doors. The bleach mixture will remove dirt and grime and leave a clean, crisp scent throughout the apartment. 3. Light candles to scent the air in your apartment once you've deodorized it. Department stores, dollar stores and even thrift stores carry scented candles in a range of colors and scents. Candles also last for several weeks at a time, making them an economical choice. Look for beeswax or soy candles over paraffin for a more delicate scent. Before you light the candle, place it on a sturdy surface far from normal traffic. 4. Create a stove-top deodorizer in place of candles. Place 3 cups of water to simmer on the stove top. Add a handful of whole cloves or a cinnamon stick. Slice an orange into eight wedges and add to the mixture. Leave the stove-top deodorizer simmering for 30 minutes, then turn it off. You can heat the deodorizer periodically throughout the day or evening for 30 minutes each time. Whether you're visiting friends downtown or headed to an event in the city, you may need to find parking if you're driving in from outside. 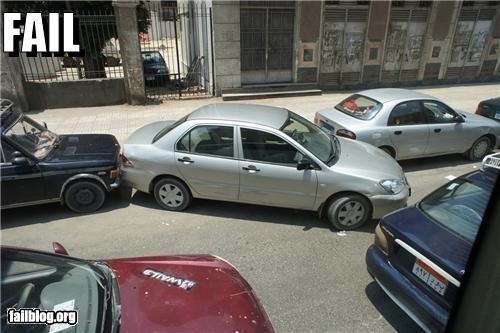 Even if you live in another town where parking is scarce, your skills in your old town many not help you too much in the new one. Here's how to find a place to leave your ride, whether you're in town for a few hours or moving in. If you're in for something specific, finding parking can be bad but there are usually options near your venue. If you're just in town to see friends or try a new night spot, you might have a tougher time. If you're moving in and still need the option of driving, you'll need longer-term parking for your car in a safe place. All of those things are challenges, but they're not without solutions. Here's how to find short and long-term parking when you need it, in just about any town. ParkoPedia is your best friend if you haven't left yet. Even if your event has parking nearby, Parkopedia can show you lots or garages that are closer, and if you're visiting friends or going to a market or concert, you can see all of the nearby paid lots in the vicinity of your friend's place on a top-down Google Map. There are mobile apps for iOS, Android, and Windows Phone, and there's even a price calculator to help you estimate how much you'll pay in a given lot for the time you need to be in town. Parkmobile partners with cities large and small around the country (you can see a full map with locations here) to manage electronic payment for parking. If it's available to you, it's the best thing in the world for finding city parking. Load the iOS or Android app on your phone, and then find a parking space, garage, or lot. Once you park there, you'll see a code you can enter into the app to start a parking session. Type in the code, select how long you'd like to park, and start your session. Your credit card will automatically be billed, your car will be legally parked, and you can walk away—if your session ends, just open the app and extend it or start a new session. No running out to feed the meter, no moving your car every few hours to beat a time limit. Best of all, the app will guide you back to where you parked if you forgot, or help you find supported lots and open spaces if you're on the hunt. Parker is another parking service that also works with cities and municipalities to make paying for parking and finding legal spaces easier on drivers. You'll definitely need the mobile apps to make this service work (available for iOS and Android) but once you have them, a quick search using your destination address or your current GPS location will turn up meters, lots, and garages near you, along with how much they cost. The service even differentiates between ADA compliant parking spaces, EV charging stations, and other speciifc types of parking. Once you find a spot, you can pay with your phone and make a note of where you parked so you can get back easily or renew your parking session if you'll be longer than expected. Robin is a great parking assistant for Android users, and it's hands-free so you can use it in the car while you're driving around looking for a place to park. Just get Robin's attention by tapping the screen or waving your hand on front of it, and then ask for parking in your area. The app will show you available locations, and you can navigate to any one of them. Robin generally supports garages, paid lots, and centralized street parking, and will even tell you how many spots are available if the information is available. If you're looking for the cheapest available parking, just ask Robin to show you something cheaper, and the app will display more affordable alternatives. Technology can only get you so far, of course. It can help, but sometimes you just have to go and see. You could always try to be sneaky and do things like park in a lot for a nearby store and walk to the concert or your friends' house, or park in a hotel garage pretending you're checking in for the night, but doing that you run the risk of getting found out and coming back to find a parking ticket, or worse, that your car's been towed. Do your homework ahead of time if you can, but even if you can't, a few handy apps will help you find an affordable, legal place to park. Unless the risk is really worth it (or you'll only be gone a short time), try not to tempt fate—or parking enforcement officials. They can swoop in, write a ticket, tow a vehicle, and be long gone in the time it takes you to run in and grab a bite to eat at a 24-hour burger joint. Parkopedia is useful here as well. It's great for short-term parking, but the service also displays lots that have daily, monthly, or yearly permit options, again on a top-down Google Map. Search for your future home or your new office, and then look around the area. Odds are there's a garage or a parking deck nearby that you can get a permit to park in. It may cost you a pretty penny (if you're parking for work, you should check with your company about being reimbursed for that) but you'll have options. Since they're mostly garages and company-owned lots, expect to pay more for spaces there—but at least you'll have reliable parking. BestParking is another service that collects and organizes available parking spaces in an area on a Google Map. If your parking needs take you near an Airport, or if Parkopedia doesn't have options for you, it's worth a look. ParkingSpotter, a service we've mentioned before, has a track record for being on-again-off-again in terms of the reliability of its listings, but the service does have the benefit of hosting Craiglist and independent parking space listings as well as commercial lots. That means that if someone in a nearby building is leasing a garage space in their building and has posted it to Craigslist, ParkingSpotter will show it to you so you can get in touch with the owner. Your mileage may vary though—like we mentioned, some cities and some listings are old and out of date, while others are bustling and active. Craigslist is another great way to find long-term spaces, garage spaces, or even people looking to make a little money by filling up the garage next to their home. Independent owners or people who are leasing apartments with parking to tenants without a car all use Craigslist to try and make a little extra money on their unused parking spaces—and they know that people in the community will bite, especially if parking is limited anyway. Don't overlook Craigslist as an option, especially to find the cheapest available parking. Often individual owners will lease below garage prices just to get people into their spots. Get familiar with your local neighborhood parking cartels. Odds are there are maybe two or three companies that handle the vast majority of lot, garage, and street parking in your city. In some cases, one of those companies may be an absolute juggernaut. If that's the case, call them up directly and let them know where you're interested in parking. They may have their own application process to get you into a space near your home, and even if they don't have spaces there, they may be able to offer you something else. Similarly, don't forget the little guys—smaller companies that only have one or two lots may be thrilled to squeeze you into one of their garages if it means you'll be a monthly paying customer. If there's nothing in your building or on your block, ask other buildings instead. When I moved into the city, only to find there were no resident spaces in the garage under my building, our property manager gave me the number of a friend of his who was the property manager for another condo building about a block away. He explained that her building wasn't full yet and had plenty of units—and spaces in her garage—for sale. He explained that until her building was full, she'd be happy to rent out a space in the garage to me, or even let me park there for free until someone needed it. Be careful with this option though; while garages have set costs, renting spaces from individuals can cost more because you're paying for the convenience of parking near your home. Don't hesitate to ask around, shop around, and try to make a connection with a neighbor in another building. Check with your local housing/parking/motor vehicle authority. In my community, people living in condos and apartment buildings don't qualify for residential parking rights—the people who own and rent townhomes a block away do, though. You may be able to arrange a swap with someone further down the block who doesn't need their parking tag or sticker, or you may be able to swing something if you call your local department of motor vehicles or your nearby parking authority and ask. Similarly, you can ask what it would take to be able to legally park if for some reason your home isn't zoned for it. In my building, for example, a few residents got together and organized a petition to get our block zoned for residential parking, and they're pulling out all the stops to get local government to listen to them. You may need to do the same, especially if you'd rather not pay to park in the same place you live. Sometimes the soft touch is the best way to go about finding long-term parking in a city. When I moved downtown, I started off with a pretty steady parking space in the garage below the building I lived in, but eventually I had to give it up because the owner of the space got a tenant in their own apartment who had a car. Be prepared to make that switch several times if you have to, and don't get too comfortable with any one space—you can have a great relationship with a "parking landlord," but if they need the space because their own apartment is advertised as having one, they'll ask for it back from you and you'll have to start your search again. Try to have a fallback option available. Also, remember that sometimes reliable, safe, and secure parking is better than closer, more convenient parking. I eventually wound up paying for a spot in a lot about two blocks away over the garage below my building just because I could get a solid monthly contract for the lot, as opposed to renting a space in the garage under my building and worrying every month whether they would email me needing their space back. It's less convenient, but it's cheaper, and at least I always know there's a place for my car. Even though up to this point we've talked about how to find great parking options in a city, remember that sometimes the best parking options are no parking options. Many communities are going out of their way to discourage people from moving downtown and bringing their cars with them, and instead are encouraging people to take mass transit, use bikeshare programs, or use car-share programs with communal parking spaces if you need them. If those programs are convenient for you to get around town, then you may be better off just ditching your car and using them instead. Similarly, you may consider renting a long-term space in a lot or garage far from your home but accessible via transit, and leaving your car on the outskirts of town, somewhere safe but accessible on the rare occasions you do need a car. That way you can take the train to your car when you need it, but you don't have to pay ridiculous parking fees to have it downtown close to your home. The same rule applies if you're headed into a city for a short term event, like a concert or a night on the town. You may be better off parking for free at a transit station and taking the train downtown, or driving close enough to park easily and then grabbing a taxi or an Uber or Hailo driver instead to get you around town, and then back to your car when the night winds down. In any event, parking in the city doesn't have to be a nightmare. It's almost never easy, but with these tools hopefully it'll be a little easier, and finding a safe, secure, and affordable place for your vehicle won't take up more time or money than it's really worth. No matter how spacious your apartment, chances are, you could always use more storage. This is especially true during the holidays, when adding festive decorations feels right — until you’re left with nowhere to put ’em come January. Whether you’re moving into a Boston rental or an apartment in Nashville, TN, here are 10 surprising storage solutions to carve out more space for stuff in every room of your home. Partitioning off an open floor plan might seem beside the point. But when you add shelves and cubbies, the right room divider can actually make a space feel bigger while also giving you more places to rein in clutter. Many of us who have done some city living have been there: You’ve moved into a new apartment only to find that your upstairs stiletto-wearing neighbor (and her terrier, with the claws) like to stomp around after your bedtime or the hot dog man on the corner outside your window sings falsetto. But before you start looking at new apartment, try these tips to combat how much your neighbors can hear and make your space as quiet as can be. We talked to interior designers, contractors, and real estate brokers for the best advice on how to soundproof a room and turn down the volume for your neighbors. With that in mind, here’s some of the best advice we got. This one’s a no-brainer: Filling up your space will help absorb sound. Placement can be strategic, so if the noise is coming from the folks next door who share a wall, Brianna Weymouth, interior designer and principal of Weymouth I+D suggests placing large items such as armoires, bookshelves, or dressers against said wall or hanging sound-absorbing wall hangings such as macramé, if that can fit into your style. The thought of lining a ceiling with acoustic tiles doesn’t scream style, but color architect Richard Prime tipped us off to the superhandsome Baux line. The Sweden-based brand makes panels and tiles, each in a variety of shapes, constructed from wood wool, cement, and water. Simple materials with a practical, pared-down design make for a beautiful way to line your walls in sound-canceling harmony. Though it’s not a rule of law, some residential lease terms in noisy New York will add a clause requiring a certain percentage of carpeting in a unit to keep traveling sound (read: footsteps, pets, and completely bizarre and inexplicable nighttime activities) to a minimum. Whether or not you’re obligated by your lease, it’s a good rule of thumb to cushion those floors to soften the pitter-patter of paws and feet. Windows are a big culprit when it comes to letting sound come and go. Georgeson and Weymouth both sing the praises of heavy drapes — especially, says Weymouth, in older homes that haven’t been properly made airtight or have lost their caulking. Georgeson recommends fabrics such as elegant heavy velvet or a more utilitarian duck cloth to maximize the insulation no matter what decor vibe you’re going for. Getting to the root of the issue starts with the window itself. New windows can help keep energy costs low while also offering soundproofing and curb-appeal benefits. Denver-based home repair company 5280 Exteriors specializes in home installations that will withstand the Colorado climate — and what blocks cold and snow can often translate to blocking outside noise. If your landlord is replacing your windows, co-founder and owner Mick Lindquist recommends laminated glass with a wider distance between panes (standard is ⅝ inch and superdeluxe options come in at 1 inch thick). But, he adds, windows have to be pretty crummy to be replaced, so if you’re getting new ones of any kind, you’ll probably notice a difference. But all of these benefits might not matter to your budget-conscious landlord. So even if you’re not in a position to get new windows, there are still things you can do. “Noise can also get through around the outside of the window if the window is not properly sealed,” says Lindquist. “It’s best to use spray-foam insulation around windows to prevent sound (and air and water) from getting in. Caulking around the outside of the window can also help.” Just be sure tocheck your lease before tackling any repairs. With the advent of smartphones comes an abundance plethora of ambient noise samples to choose from, whether you prefer a croaking frog in the rainforest or the din of white-noise static. Sound-canceling headphones work well on an airplane and in your living room during a neighbor’s monster-truck-rally binge-watch. The cheapest solution? Earplugs. They’re right around the corner at the drugstore and can make all the difference when you need a good night’s sleep and you live near the railroad tracks. How Prepare Your Home For The Winter! Give your home a once-over and tend to winter preparation tasks and repairs before the year’s first frost. Getting the exterior of the home ready for the cold winds, snow and ice is critical for keeping Old Man Winter out and keeping it warm and toasty inside. By being proactive, you’ll lower your energy bills, increase the efficiency and lifespan of your home’s components, and make your property safer. If you grow it, you have to mow it. There’s no doubt that growing grass and maintaining your lawn can be costly. Routine lawn care activities like mowing, watering, and fertilizing can add up to hundreds spent each year just making your outdoor space greener – and this doesn’t include planting grass seed or laying sod! Here is a few frugal tricks for cutting lawn care costs – and any plot or yard size can benefit. 1. Stop over watering your lawn! An established lawn requires only 1 inch of water each week, whereas many people water double this amount. Grass is a neat little plant with roots that grow deep. The less you water your lawn the deeper the grass roots grow – costing you less in water use. To measure your water usage, buy a plastic watering gauge at your hardware store for about $5. Place the gauge in the lawn and turn off the sprinklers when you have reached the target amount. Or, place a small bucket or ice cream pail under the sprinkler to catch the water and measure for free. You could save hundreds this summer by not sprinkling your cash over the greens. The best time to water your lawn is early in the morning when it’s cool out and before any winds kick up and carry your water away. By watering in the mornings instead of in the hot afternoons, you can reduce your water use because heat and evaporation are not diminishing your watering attempts. Growing your lawn to heights between 2 and 3 inches can save you up to 50 percent of the water consumed by a shorter 1 to-2 inch lawn. Keeping grass cut short causes the roots to grow shallow, which exposes them to drier soil at the surface, so the grass then requires more frequent watering. A taller lawn also helps to crowd out weeds, saving you additional dollars on weed-busting maintenance costs. Adding green space around your home in the form of a lawn is attractive, but it’s also expensive when you consider the costs of growing grass over the savings gained from having your own vegetable garden. By converting a portion of your greenery to a small vegetable garden, you get more bang for your soil buck and can save money on your food budget. Besides, growing some salad tastes a whole lot better than eating grass. Herbicides can eat holes in your pocketbook while being hard on the environment. Skip expensive chemicals and cultivate your own weed-killing solution by mixing vinegar with a bit of food-safe dish soap. Just fill an old spray bottle and apply directly onto your weeds. This frugal and environmentally safe mixture kills most weeds and can be safely used anywhere near pets and children. For tougher weeds that don’t respond to vinegar and dish soap, a bit of digging is free and guaranteed to work. Skip spending good dollars on expensive synthetic and petroleum-based fertilizer each year by starting a compost. A properly maintained compost can break down waste from both your kitchen scraps and garden trimmings. The compost from a single household can replace about $20 worth of synthetic fertilizer each year and will help keep chemicals off your lawn and out of your vegetable garden. If you need an instant lawn it will cost you. Laying weed-free and pretty sod runs 30 to 40 times more than planting grass seed. So if you’ve got the time, opting for sowing grass seed will save you hundreds. The best time to plant is after the last frost in spring or late in the fall. Seeds will lay dormant over the winter, then be the first plants to sprout in the spring. Seeding grass is dirt cheap and easy – just sprinkle your grass seed onto your soil and rake it in so it’s just under the surface. Save yourself lots of green by cutting your lawn with a manual push lawn mower instead of a gas-powered unit. Manual push lawn mowers slice the grass using the energy you provide and cost anywhere from $100 to $150 with virtually zero maintenance costs. On the other hand, gas-powered lawn mowers (especially riding lawn mowers) are expensive to buy, cost big dollars to fuel, and may require a mechanic to service any breakdowns. Don’t get me started on the costs of lawn tractors, the annoyance of sourcing replacement lawn mower parts, or the impossibility of using an electric lawn mower in the middle of a farm. Sigh. As an added free bonus though, push lawn mowers are quiet, are non-polluting and give you a great workout. Now that’s a new way to find splendor in the grass. You don’t need to be the sharpest knife in the drawer to know that dull lawn mower blades do not cut grass well. If you’re using a gas or electric mower, dull blades can increase energy use by 10 percent. To get your lawn mower blades sharp, get a sharpening stone for under $10 at most hardware stores and sharpen your lawn mower blades at least every other month. Just be sure to turn off or unplug your lawn mower before sharpening. Ouch! In all honesty, it's impossible to bug proof your home completely. Like it or not, some insects will find a way into your house. But you don't have to make it easy for them! Invest a little time in these home maintenance and housekeeping tasks, and you will greatly reduce your chances of a major insect infestation. When attempting to bug proof your home, you need to do two basic things: prevent insects and spiders from getting inside, and eliminate bug habitat in your house.Your goals are to keep as many bugs out as possible, and to make your house inhospitable to the few that find their way in. 1. Install and maintain screens on all doors and windows. If you don't have screen doors on your home, install them. Repair or replace any torn or damaged window screens. Use fine mesh screening to prevent all but the tiniest insects from entering your home. 2. Seal around all doors. If air and light can pass through, bugs can get in. Install tight-fitting thresholds and door sweeps to the bottoms of exterior doors. Use door seals to fill the gap around the sides and top of each door, too. 3. Seal cracks in your home's foundation, exterior walls, and fascia boards. Any crack in the exterior walls of your home is a welcome sign to insects. Grab a tube of caulk and inspect your home from top to bottom. Seal any cracks you find. 4. Seal around utility lines and appliance vents. Insects may enter your home through tiny gaps around your dryer vent, gas line, or even telephone line. Caulk crevices on the outside of your home. You might also want to seal these areas from the inside using a spray foam product. 5. Install critter-proof mesh on vents in attics and crawl spaces. Raccoons, squirrels, mice, and even birds may make themselves at home in crawl spaces and attics if you don't install barriers to keep them out. These animals may carry mites, fleas, or other pests that will then infest your home. 6. Eliminate moisture by fixing leaks. Most insects (except for those that live in arid environments) require a certain amount of humidity to survive. Any source of moisture can attract them. Fix any plumbing leaks, however minor, promptly. Even condensation on pipes can drip and create suitable places for bugs to live. If your basement or crawl space takes on water during heavy rains, you're asking for insect problems. Install a proper drainage system, and run dehumidifiers if needed. 7. Keep a tidy kitchen. Where there's food and water, bugs will happily make themselves at home. Do all you can to keep your kitchen clean. Wipe up crumbs, sweep or vacuum the floor, and clean up spills right away. Don't leave dishes in the sink overnight. Clean out the toaster and microwave regularly. Scrub down your stovetop every day. Throw away food scraps and packages. 8. Keep food sealed up tight. If you have a kitchen pest problem, you'll need to take drastic steps to eliminate food sources for the offending insects. Store cereals, grains, rice, and other pantry items in air tight containers. Keep opened food containers in the refrigerator. Insects need places to hide, and a cluttered home is a bug's paradise. Recycle unneeded boxes and newspapers promptly. Keep laundry in clothes hampers. Keep your floor clear of belongings, and put things away after you use them. 10. Clean up after your pets. Some bugs like pet food, and others like pet waste. Clean your pet's food dishes regularly, and don't leave extra pet food accessible. Store dry food in air tight containers. Scoop and clean your cat's litter box daily. Wash your pet's bed or favorite blanket regularly. 11. Take the garbage out frequently. If you can smell it (even a little), it's going to attract bugs. In fact, insects are much more sensitive to odors than we are, so even if you can't smell it, it may attract bugs. If you're really worried about insect pests in your home, empty your garbage often. Line your cans with plastic garbage bags, and tie them tight before you take the bags out for pick-up. Your recycling can is a smorgasbord for bugs. Soda cans, beer bottles, and pet food cans will all attract insects if they aren't rinsed out thoroughly. 13. Scrub your trash bins. Even with your garbage in plastic bags, there's bound to be a spill or torn bag now and then. Scrub out all of your trash bins to eliminate smells and sticky substances that may attract insects. Several times per year, use a solution of bleach to clean your outdoor cans thoroughly, especially if you keep them close to your house. 14. Clean up your yard. Mulch, leaf litter, and garden debris can all harbor insects. Keep mulch away from your home's foundation, and clean up any accumulated organic matter. Mow your lawn regularly, and keep it short near your house. Pull annuals out at the end of the growing season, and trim back perennials as appropriate in the fall. 15. Prune trees and shrubs. When trees and shrubs come in contact with your home, they function as highways for insects on the move. Keep tree branches pruned so they don't rest on your roof. Prune shrubs away from windows and doors. Saving water is particularly important during the summer, when the days are hot and the rainfall is sporadic. It's even more so this year as much of the country faces an unrelenting drought. If you want to cut your water bills or just do your part to conserve a precious resource, here are a few smart tips to reduce water usage around the house. Odd as it may seem, studies have shown that in households with two or more people, a dishwasher uses less water than washing dishes by hand. To get the most significant savings, scrape your dishes clean, don't prerinse them, and run the dishwasher only when it's completely full. The average bath uses between 30 and 50 gallons of water. And that's if you only fill the tub once—most bathers add more hot water as the bath water cools. An old shower uses about 20 gallons of water, but installing a modern low-flow showerhead can reduce water consumption to just 10 gallons per shower—assuming you don't stay in there all day. Toilet flushing accounts for more water usage than any other activity in the home. That's why it's so important to replace old toilets, which use between 5 and 7 gallons of water per flush, with an efficient modern toilet that uses only 1.6 gallons. Leaky toilet tanks are also huge water wasters; a faulty flush mechanism in the tank allows water to slowly and silently leak into the bowl. To detect a toilet-tank leak, remove the tank cover and add a few drops of food coloring to the water. Wait 30 minutes, then check the water in the toilet bowl. If it has turned the hue of your food coloring, then the tank is leaking. Repair or replace the flush mechanism. Don’t use the toilet as a trash can. Dispose of facial tissues, diaper wipes, cotton swabs, and bandages in a trash can; never flush them down the toilet. Besides clogging your pipes, you're also wasting water. Sooner or later you'll probably find at least one dripping faucet in your home. A little drip may not seem like a big deal, but a faucet leaking one drop per second wastes about 2700 gallons of water per year! If you don't repair the leak promptly, it'll worsen over time and waste even more water (leaks never heal themselves). You can easily stop leaky faucets without calling a plumber. Do-it-yourself faucet-repair kits are sold at most hardware stores and home centers. Check the faucet's installation manual to make sure you buy the right replacement parts. Pipe insulation might not jump to mind as a way to save water, but it should. Just think about all the water that's wasted while you stand there waiting for the water in from your sink or shower to get hot. If you wrap every hot-water supply pipe in your home with thick foam-rubber insulation, the water inside the pipe will stay hot longer, reducing the amount of time it takes for hot water to reach the faucet. As a bonus, you'll also save on energy because it won't take as much to heat your water. Today's super-efficient washing machines use much less energy and water than models built just 10 years ago, but you can reduce water consumption even further.First, wash only full loads of laundry. If you must wash a partial load, adjust the water level to match the load. Avoid the permanent-press setting, which uses additional water during the final rinse cycle. Replace rubber water-supply hoses with braided stainless-steel hoses, which are much more durable and less likely to crack and burst open. And when leaving home for vacation or extended periods of time, shut the hot- and cold-water valves, just in case a hose ruptures. Don't thaw frozen food under warm running water. Instead, thaw them on the counter or, especially in the case of meats, in the refrigerator. Rather than boiling vegetables in a pot, steam them in a microwave oven, which requires very little water. Wash fruits and vegetables in a bowl of water rather than under a running faucet. You'll save more than 3 quarts of water each time. Even if you don't use a Brita or some other kind of water-purification pitcher, keep a pitcher of drinking water in the fridge. You'll save more than half the amount of water versus running the faucet until the water turns cold. Never use a garden hose to rinse leaves and grass clippings off driveways, sidewalks, and patios. Use a wide push broom, rake, or leaf blower. 1. Make your offer as “clean” as possible. Don’t ask the seller to pay for your home warranty, and the homeowner’s association’s transfer fees, and your lender’s fees, etc. 3. Ask your agent to find out what’s important to the seller (price, terms, closing date, etc.) and then craft your offer around this information. 4. The typical inspection period is 10 days long. Consider shortening the inspection period to five or seven days. 5. You may have to offer more than the list price. Really? Yes. Really. 6. A typical earnest deposit is 1% of the purchase price. Give the seller more than this to show you’re financially strong and serious about buying the home. 7. If you can afford to do this, offer to pay cash and provide proof of the funds you’ll use. 8. If you feel confident in the price you’re offering, waive the appraisal contingency. This will mean, if the home appraises for less than the purchase price, you’ll make up the difference in cash. 9. Add an “escalation clause” to your offer that outbids any other offer up to a given price. For example, “Buyer will pay $500.00 over any offer up to $200,000.” Your agent should check with his/her broker for a recommendation on the specific language to use before doing this and then require a copy of the next highest offer the seller received. 10. Offer to forfeit your earnest money to the seller if you cancel the purchase contract after the inspection period. 11. Make a larger down payment than what is required for your loan program. For example, put 5% down on your FHA loan, rather than the minimum requirement of 3.5%. Again, this shows the seller that you are financially strong, but more importantly, by making a larger down payment, you’ll finance less, and save more money over the long term. 12. Offer to buy the home in as-is condition. Signing an As Is Addendum doesn’t mean you can’t have the home inspected. You can still get a home inspection, cancel the contract, and get your earnest money back if you find something wrong with the home and notify the seller during your inspection period. 13. Agree to open escrow with the listing agent’s preferred title company. 14. Agree to get pre-qualified with the listing agent’s preferred lender. This doesn’t mean you have to finance the home with the listing agent’s preferred lender. It will just reassure the sellers that you really are qualified to purchase their home. 15. Write a letter explaining why you chose the seller’s home and why you want to live there. You may even include a photo of your family, if you feel comfortable doing this. 16. If your bid on the home isn’t accepted, have your agent ask the listing agent if the seller wants to hold your offer as a back-up offer. 17. Make sure you’ve provided all of the required documents with your initial offer. If a seller receives multiple offers, one of the first things he/she often does is throw out the sloppy and incomplete offers. 2. And be smart about your doors. Closing off unused rooms will prevent the cool air from permeating these areas during the hottest part of the day. You'll want to capitalize on the cooler night hours, however (see tip #7), and let air flow naturally through your home. 3. Swap your sheets. Not only does switching up your bedding seasonally freshen up a room, it's a great way to keep your bedroom cool. While textiles like flannel sheets and fleece blankets are fantastic for insulation, cotton is a smarter move this time of year as it breathes easier and stays cooler. And as an added bonus, buy yourself a buckwheat pillow or two. Because buckwheat hulls have a naturally occurring air space between them, they won't hold on to your body heat like conventional pillows, even when packed together inside a pillow case. 4. Set your ceiling fans to rotate counter-clockwise. Whether you know it or not, your ceiling fan needs to be adjusted seasonally. By setting them counter-clockwise in the summer at a higher speed, the airflow produced will create a wind-chill breeze effect that will make you and your guests "feel" cooler. 5. Worry about the person, not the house. If your ancestors survived without air conditioning, so can you. From sipping tasty iced drinks to applying a cold cloth to strong-pulsed areas like your neck and wrists, doing the cooling from the inside out is not a bad idea. Other tricks include being smart about your clothing choices and telling your partner you won't be cuddling until the leaves start changing color. 6. Turn on your bathroom fans, or your exhaust fan in the kitchen for that matter. Both of these pull the hot air that rises after you cook or take a steamy shower out of your apartment. That being said, you don't want to let the cooler air escape, so be sure windows, doors and cracks are caulked before things start really heating up. 7. Let the night air in. During the summer months, temperatures tend to drop during the night. If this is the case where you live, make the most of these refreshing hours by cracking the windows before you go to bed. You can even create a wind tunnel by strategically setting up your fans to force the perfect cross breeze. Just be sure to close the windows (and the blinds) before things get too hot in the morning. 9. Start grilling. It's obvious, but we're going to say it anyway: Using your oven or stove in the summer will make your house hotter. If it already feels like 100+ degrees in your home, the last thing you want to do is turn on a 400 degree oven. Besides, who doesn't want to get more mileage out of their outdoor furniture and seasonal accessories? 10. Make a few long-term improvements. If you're really, really committed to the whole no-AC thing, you can make a couple changes to your home that will keep it cooler for seasons to come. Insulated window films, for example, are a smart purchase as they work similarly to blinds. And additions like awnings and planted trees or vines on or in front of light-facing windows will shield your home from the sun's rays, reduce the amount of heat your home absorbs and make your investment nothing but worthwhile. Home security systems have grown in popularity over the years but the simple truth is that there are ways you can ensure your home security aside from using a security system. While having a system is a good idea, it is not the only idea. There are things that you have to do to ensure your family’s safety and the safety of your home and many of these things will cost you nothing. From remembering to lock the doors when you leave to always keeping your windows locked, some security steps are not expensive nor are they time-consuming. Whether you are leaving on vacation, going to work or even staying at home, you want to know that your home, family and possessions are safe and secure. We have put together a list of things that you can do to better protect your home and family. You can try one of these tips or try them all. You simply can never be too safe. These tips are effective, easy to initiate and best of all, many of them are completely free. If you have a ladder just sitting up against your house, you can bet that a burglar is going to use it to enter your upstairs windows. Most won’t bring their own ladders and you certainly do not want to make their jobs easier. Put ladders away in the garage or work shed when they are not in use. If your door jambs or frames are weak, you want to reinforce them so that they are not easy to kick in. When burglars cannot jar the locks, they may resort to kicking in the doors and if you reinforce those doors, you make their jobs much harder. Most burglars will give up when they cannot easily enter a home. While this is not a free security tip, it is an important one. Even if you do everything else right to deter burglars, if your windows are easy to break then someone is likely to intrude your home. You can get double-glazed windows that are much tougher to break so that burglars are not as likely to come inside. When you are gone you should always keep the garage door closed. If you forget to close it regularly, a timer may be a good idea. You can simply set the timer to close the door for you after a specific amount of time has elapsed so that burglars can’t get inside. The sensors are easy to install and relatively cheap considering the alternative. If the only locks on your doors are knob locks, you need better locks. You should never rely on knob locks as your only form of security. Top locks make your home much more secure and are relatively easy to install. Deadbolts along with knob locks make it twice as difficult to pry the door open and enter. This is a completely free tip that will help you to protect your home and the homes of your neighbors. If you don’t already have some sort of neighborhood watch in place, you may want to talk with your neighbors and set one up. Studies have shown that you can reduce the level of crime in your neighborhood by as much as 26 percent when you have a neighborhood watch program in place. Safes are really inexpensive and great for keeping things safe from burglars as well as fires. You can find many different kinds of safes so it is completely possible to get the perfect one for your needs. Whether you want something that you can hide in the wall or just something that you can shove under the bed, important documents, expensive jewelry and other valuables should always be protected by a safe. Motion sensors are not terribly expensive and come in very handy when protecting your home. Most home security systems today offer these sensors and you have the choice of a low monthly fee or a low upfront cost. You can install the sensors yourself, saving you a lot of money over professional installation. If your main door does not have a peephole, you should install one. You want to always be able to tell who is at your door before you open it. It takes just a little time to install the peephole and it can be a great addition to your home security lineup. No matter what type of door you have, there is a way to install a peephole. If you have valuable jewelry, cash or other items that you really want to keep hidden, you can build your own hiding place. Burglars have gotten smart enough to check under the matters and in the freezer but there are numerous other places in your home that will work for a hiding place that they would never think to check. You can buy fake alarm system decals that will deter would-be burglars. eBay sells them or you can pick them up in yard sales and other places. Although you will know that you don’t really have an alarm system in your home, burglars will certainly think twice about trying to enter when they see the decals that say your home is protected. Criminals love places to hide so if you have untrimmed bushes near your windows, this is virtually like inviting them to enter your home. If you are going to be away from home for some time, it is particularly important that you keep your lawn mowed and bushes trimmed to give the impression that you are still at home. You don’t actually have to get a dog, but studies have shown that barking dogs deter burglars. If you don’t have a dog and don’t really want one, there are alarm systems that sound like barking dogs when they are triggered. Would-be burglars will worry about confronting your canine friends and will be gone before they can do any damage. If you are planning to be gone on vacation, ask a neighbor to pick up your mail every day while you are away. You could also ask the post office to hold your mail and cancel newspaper subscriptions until you return. A mailbox filled with uncollected mail is the first indication to a burglar that no one is at home. Leaving boxes from major electronics on the curb or on your porch lets criminals know that you have these things in your house. Security experts recommend you tear down the boxes or haul them to the dump right away. If needed, you can just cut them up into smaller pieces and hide them in your trash can. Keeping your indoor and outdoor lights on timers is an excellent way to give burglars the impression that you are at home, even when you are not. Timers are inexpensive and will turn on your lights at a certain time every evening. This is also a good idea for when you arrive home late at night. You won’t have to worry with forgetting to turn on lights when the timer does it for you. If you are going to be on vacation, you shouldn’t really broadcast the fact that you will be away. While you may want to hit Facebook and alert all of your friends that you are heading to Maui, it is best to wait until you return home and then let them know what a good time you had. A broadcast that you are going to be away from home could fall into the wrong hands. You don’t need to purchase expensive surveillance cameras. You can actually trick burglars by installing cameras that seem like they are watching your home, even if they really aren’t. There are some great ways that you can install webcams and turn those cameras into security cameras that allow you to keep an eye on your home no matter where you are. Sliding doors and windows give burglars good opportunities to enter your home. By simply placing wooden dowels or metal bars on these areas, you can secure them so that burglars can’t open them. You just cut the dowels so that they fit into the tracks whenever the doors and windows are closed. If you are going to be gone during winter, burglars will actually look for tracks around your home in the snow. Have a neighbor come to your house and track up your yard so that it looks as if you are home. Untouched snow is a certain indicator to burglars that you are gone, particularly if it remains untouched for a couple of days.